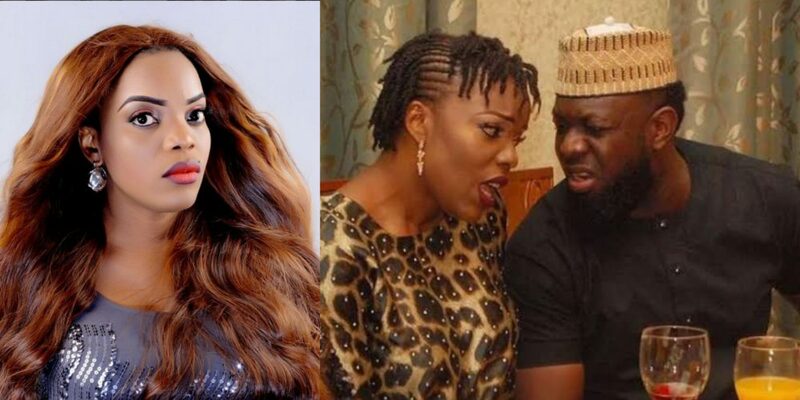 Empress Njamah has dropped a subtle cryptic message in response to a viral interview made by her ex-boyfriend, Timaya. 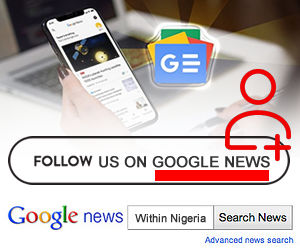 The Bayelsa State-born musician and the actress had dated during the early stage of Timaya’s career. They, however, parted ways over undisclosed reasons. However, the ‘’Sanko’’ crooner, for the first time, came out to speak on why he broke up with the actress and how he collected his car gift. 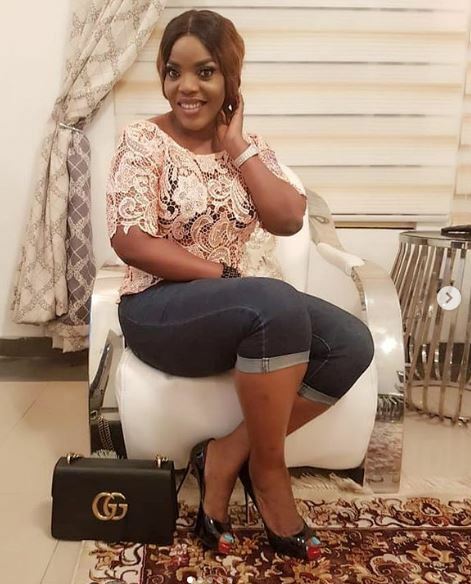 The details made public by him have prompted a reaction from Empress who has since relocated to Abuja to face her boutique business. “Maturity comes when you stop making excuses n start making changes! 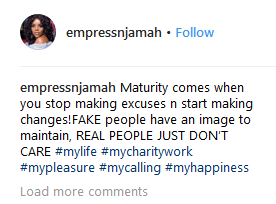 FAKE people have an image to maintain, REAL PEOPLE JUST DON’T CARE” #mylife #mycharitywork #mypleasure #mycalling #myhappiness,” she posted on her social media account.